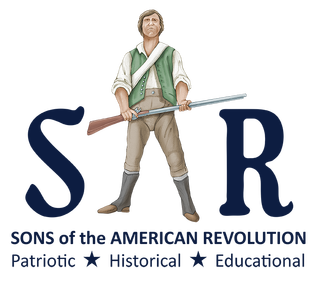 The Sons of the American Revolution is the leading male lineage society that perpetuates the ideals of the war for independence. As a historical, educational, and patriotic, non-profit corporation, we seek to maintain and expand the meaning of patriotism, respect for our national symbols, the value of American citizenship, and the unifying force of “e pluribus unum” that was created from the people of many nations — one nation and one people. * Preserving the records of Revolutionary War Patriots. * Marking the locations of the Revolution, its events and its soldiers. * Maintaining and extending the institutions of American freedom. The National Headquarters is located in Louisville, Kentucky. There are 50 state societies including the District of Columbia. There are also societies in France, the United Kingdom, Canada, Germany and Switzerland. The current membership is approximately 27,000 active members.